Aquatic product exports are expected to reach US$8 billion this year, forecast Ha Cong Tuan, Deputy Minister of Agriculture and Rural Development. Mr Tuan attributed the results to good export prices and reasonable prices of input materials. Minister of Agriculture and Rural Development Nguyen Xuan Cuong said seafood is a key sector that helps the agriculture achieve the set growth. The General Department of Fisheries has actively implemented measures to remove difficulties and promote production. The Department staff have worked with four central provinces to iron out obstacles to accelerate aquaculture development and discuss measures to raise natural seafood resources and to ensure safety for the exported shrimps. Earlier, General Secretary of the Vietnam Association of Seafood Exporters and Producers (VASEP) Truong Dinh Hoe forecast that seafood exports will reach around US$7 billion this year. However, Mr Hoe also cautioned domestic businesses to be prepared to confront a fierce competition on the global seafood market where many countries are promoting seafood exports. 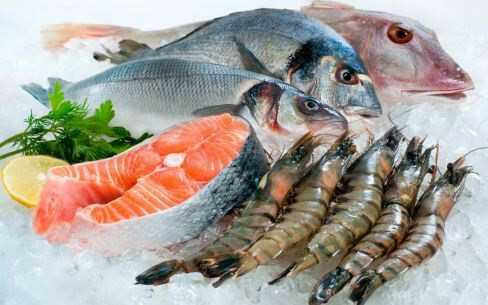 According to the MARD report, in the first ten months of this year seafood exports increased by 5.9% to US$5.7 billion against the same period last year. The US, Japan, China and the Republic of Korea were the four largest importers of Vietnam seafood in the first nine months of this year, accounting for 54.1% of total exports value. In the reviewed period, export markets which saw a sharp growth included China (up 51.1%), the Netherlands (14.14%), the US (14.3%) and Thailand (10.8%).